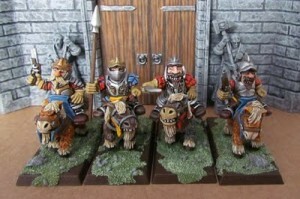 White Knight's Miniatures put up a whole bunch of new models in their "get some" section (basically all the stuff they've been previewing lately). So... go get some! You've looked allover the blog and drooled at some of the wonderful specially commissioned figures (just admit it, there is no shame) and now you want to get some. As exposed elsewhere on the blog, this is first and foremost a private project and not a commercial venture and there are no plans at present to make it one. This blog is not a webshop and I am not a company. This being said, I understand the cruelty of dangling these in front of you and then saying you can't get any. So, on these pages, I will offer the possibility to buy some as long as supplies last. The aim here is not to earn a profit, everything that is left after deducting the (various) costs will be invested back into getting more figures made.